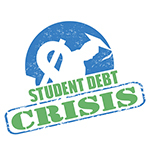 Higher Ed, Not Debt campaign partner Student Debt Crisis has come up with a really easy way to ask for lower student loan payments! All you have to do is send your servicer the Consumer Financial Protection Bureau‘s pre-made letter. Check out the SDC tool to generate the sample email. Tell DeVos: A Partial Refund for a Full Scam Isn’t OK.